Many foreign companies, particularly small and medium-sized enterprises (SMEs), start doing business in China without proper internal control mechanisms in place to mitigate the incidence of fraud. They may lack the resources or time required to implement appropriate controls, and more commonly, they tend to underestimate the risks of operating unprotected in this market. This three-part article series provides practical tips on how to implement effective internal controls and execute fraud prevention strategies when doing business in China. The following case study illustrates what perils await overseas shareholders if there is insufficient oversight and control over the operations of their Chinese subsidiaries. What does fraud look like in China? The CFO of a French automotive parts manufacturer receives an alarming email from a junior accountant working at the Group’s Chinese subsidiary. The employee claims to have witnessed fraudulent activity perpetrated by the local General Manager for months and has decided to speak up. The employee mentions important sales orders not being properly invoiced or recorded in the books, and feels he is being pressured into performing accounting fraud. Unconvinced yet still inclined to follow up on the whistleblower’s tip, the CFO decides to engage a third-party auditing firm to perform a review of the Chinese company’s financials. The audit report reveals important transactions taking place between the company and private bank accounts opened in the General Manager’s name. An investigation of inventory movements reveals a significant mismatch between the value of the products shipped out of the warehouse compared to the company’s sales figures. After contacting a selection of clients serviced during the previous months, the auditors uncover that customers were offered enticing discounts if they were willing to forego a formal tax invoice and pay the company through Alipay. The Alipay account in question was linked to personal bank accounts opened in the General Manager’s name, and it turns out that the General Manager would only partially transfer back the monies to the corporate bank account, thereby successfully embezzling several million RMB undetected. While it may not be possible to have complete oversight and fully eliminate all probability of frauds occurring, such cash theft can be prevented if the relevant internal controls are put in place within the organization. Here are three ways you can frame your fraud prevention strategy in light of your relative risks. Different companies are subject to different forms of fraud risks, depending on their industry, size, and business model. Companies need to make an assessment of their specific risks by identifying the areas where they are most exposed. Small companies with a small China team should be concerned about the proper segregation of duties, for instance, with all things related to cash receipt and cash disbursement. If the same person initiates and approves e-banking payments, or if one individual holds both the company chops and the corporate check book, there is a real risk of the occurrence of cash theft or fraudulent disbursements. Further, not separating the duties between the accounting and cashier functions opens the door for such economic crimes to go undetected. Conversely, companies running large teams should carefully monitor the local payroll system, or otherwise risk being subject to fraudulent payroll and reimbursement schemes. If the General Manager is colluding with or bypassing the HR team on payroll matters, he could conceive ‘ghost employees’ or fictitious bonuses to channel money to a personal bank account. If the headcount is large and payroll figures significant, it could be difficult to spot this form of fraud. Likewise, opportunistic employees could take advantage of low individual supervision to utilize fraudulent reimbursement schemes: by overstating their work-related expenses, they could increase their personal remuneration. Trading and manufacturing companies performing sourcing activities in China should pay special attention to their supplier selection and management strategies. Indeed, such companies are prone to the collusion of their sourcing team with suppliers against the promise of bribes, or witness their local management select the companies of friends and relatives to act as suppliers. These examples of conflicts of interest are extremely common in China. Companies that have not implemented IT systems to monitor and automate inventory management are most at risk. It then becomes extremely difficult to guarantee accurate consolidation between purchase orders received from customers, inventory movement records, and company accounting. 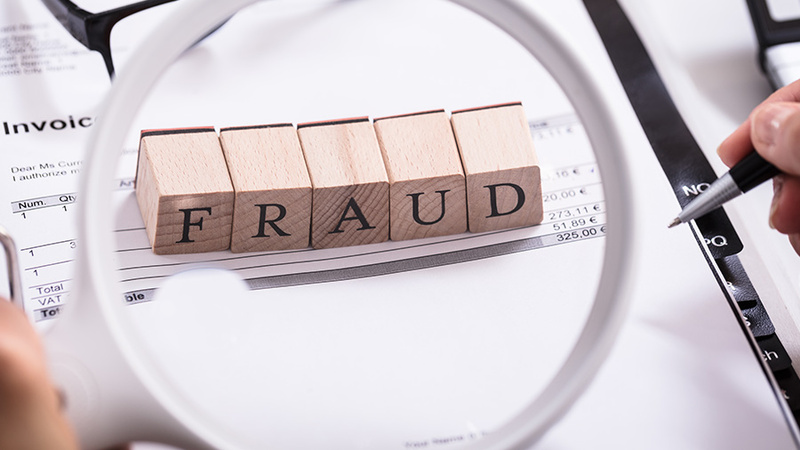 Depending on the industry of focus, different companies may be subject to varying levels of scrutiny from regulators and should take this into consideration when designing their fraud-prevention programs. Companies operating in China’s healthcare sector, for example, are more likely to be held to the highest of standards and face tough repercussions in the event of non-compliance. Pharmaceuticals giant GlaxoSmithKline found this out the hard way in 2016 when they were fined US$490 million and saw several senior managers sentenced to prison – after the company was found guilty of bribing Chinese doctors and hospitals. Likewise, the Chinese F&B market is closely watched by regulatory bodies and foreign companies are particularly advised to strive for compliance. The aftermath of the melamine scandal in 2008 showcased regulators’ intolerance of incompliance when public health and safety is involved, and the toughness of their sanctions when required. Similarly, in recent years, many foreign food service outlets have realized the perils of operating without proper licenses, as illustrated by the large number of forced restaurant closures that have recently occurred in Shanghai and other large cities around China. The financial services sector is another industry subject to considerable scrutiny in China. While foreign fintech businesses rush into China lured by the promise of high rewards, many are reminded that PRC authorities intend to closely monitor how private firms are managing the savings of Chinese households. The crackdown on peer-to-peer lending platforms, as well as the recent fines levied on four major payment service platforms by the People’s Bank of China due to ‘irregularities’, are illustrative examples. The regulatory environment in China is oftentimes quite different from that of the foreign company’s domestic market. It is therefore essential to understand the local specificities and assess compliance liabilities accordingly. It is also important to bear in mind that PRC laws and regulations may be interpreted and implemented differently at the provincial or even municipal level. As such, companies operating in multiple municipalities are advised to localize their compliance strategies instead of adopting a uniform China strategy. Meanwhile, staying under the radar of regulators is becoming increasingly difficult, as Chinese regulatory bodies have become more integrated and coordinated. An offense recorded by the tax bureau, for example, could raise the attention of other authorities such as the PRC Customs, the Administration for Industry and Commerce (AIC), or the State Administration for Market Regulation (SAMR), etc. Once an incidence of incompliance is recorded, it may have a lasting impact on a company’s China operations, long after the company pays the penalty. The social credit system currently being implemented will only increase transparency and raise compliance risks. Once the prevalent risks have been identified, stakeholders should work on the design of localized internal mechanisms to promote compliance and limit the incidence of fraud occurring at their China office. This is Part 1 of a three-part series about fraud prevention in China. In Part 2, we highlight five methods for preventing fraud in China. In Part 3, we discuss due diligence and monitoring strategies to combat fraud in China.